2016 marks ten years since Valve officially announced that Half-Life 2: Episode Three was in development, yet its existence continues to be limited to catchphrases and memes. But over at Gamescom in Cologne there was a brief moment when it seemed as if we’d be getting some new info on the mythical game. 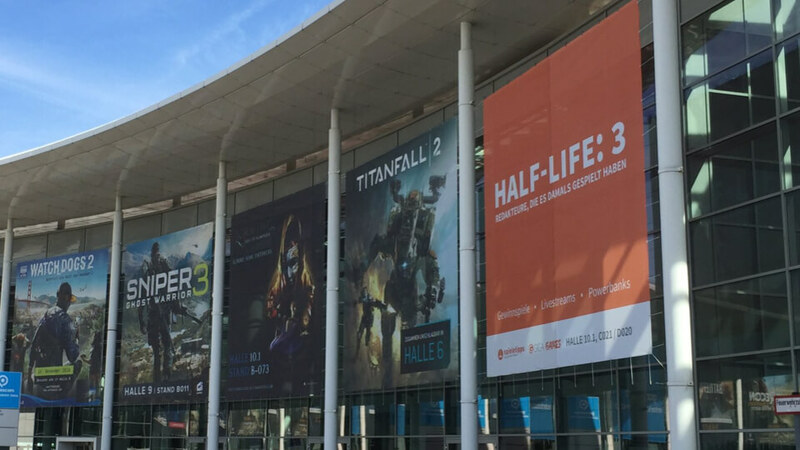 As reported by Eurogamer, the poster emblazoned with "Half-Life: 3" outside of the Koelnmesse convention center hangs next upcoming titles such as Watch Dogs 2, Sniper: Ghost Warrior 3, and Titanfall 2, suggesting that perhaps Valve has decided a decade is long enough to keep gamers waiting for the final part of the trilogy. Sadly, this isn’t the case. When translated from German, the poster reads: “Half-Life: 3 editors who played it back then." A reference to three editors who played the original Half-Life game when it was first released. A pretty sneaky tactic from the companies that commissioned the ad, which Eurogamer believes to be spieletipps and GIGA games. The poster has obviously had more of an effect on those who can’t speak German, with several Twitter users proclaiming “IT’S HERE!” before being told the depressing truth. Back in 2013, it looked as if Half-Life 3/Episode 3 was on its way when Valve seemingly registered the trademark in Europe, but this turned out to be fairly convincing hoax. After ten years of anticipation, the chances of Half-Life 3 ever becoming a reality look slimmer than ever, especially when you consider the amount of pressure Valve would be under to come up with the greatest game ever made. It seems the next time we see Gordon Freeman will probably be on the big screen.